Ya os he contado que no me quito los boyfriend jeans??? :) Esta chaqueta es de mis favoritas, me encanta la combinación de color, es ideal para la primavera y vale igual para arreglarse con un vestido para bodas/bautizos/comuniones o para unos jeans con aire más informal. Qué hacéis el puente? Yo voy a probar una experiencia nueva: quedarme en Madrid! A ver que tal se da... Estos días estoy muy liada con varios proyectos nuevos que espero contaros pronto, pero intentaré pasarme por vuestros blogs y dedicaros un ratito! Have I told you I can't stop wearing boyfriend jeans??? 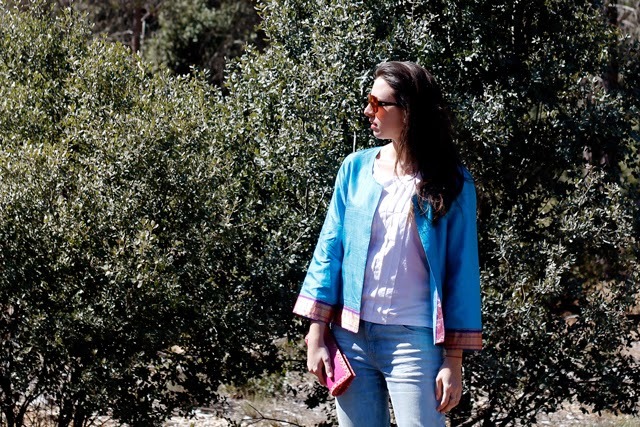 :) This jacket is one of my favorites, I love the color combination, it's perfect for Spring and I can wear it with a formal dress for a special event or a wedding or with jeans for a casual distressed look. How's your week going? We have some days off in Spain and I'm gonna try something new: I'm staying home! Let's see how that turns out... I'm really busy nowadays with a couple of projects (coming soon! ), but I'll try to make time for you and stop by your blogs! look perfecto!! la chaqueta no puede gustarme más, es preciosa!! E' un abbinamento che adoro! Me encanta la chaqueta, es preciosa y tiene unos colores que te favorecen un montón y combinada con los stilettos queda de maravilla, un look genial!!! I am thinking of trying out the boyfriend jeans trend too.. U have fab india there!!! Hola guapa, me encanta la chaqueta , es preciosa. I only have two good pairs of boyfriend jeans, and I like darker usually, but these are really nice on you here. 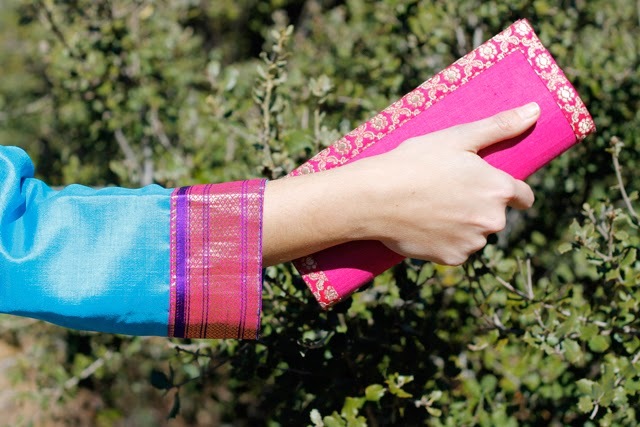 I love the pink clutch as well! Happy Friday!